1. Nordestgaard BG, Chapman MJ, Ray K, et al. Lipoprotein(a) as a cardiovascular risk factor: current status. Eur Heart J. Oct 21 2010. 3. Erqou S., Thompson A, Di Angelantonio E, et al. Apolipoprotein(a) isoforms and the risk of vascular disease: systematic review of 40 studies involving 58,000 participants. J Am Coll Cardiol. May 11 2010;55(19):2160-2167. 4. Kronenberg F, Kronenberg MF, Kiechl S, et al. Role of lipoprotein(a) and apolipoprotein(a) phenotype in atherogenesis: prospective results from the Bruneck study. Circulation. 1999;100(11):1154-1160. 5. Xiong ZW, Wahlqvist ML, Ibiebele TI, et al. Relationship between plasma lipoprotein (a), apolipoprotein (a) phenotypes, and other coronary heart disease risk factors in a Melbourne South Asian population. Clin Biochem. Apr 2004;37(4):305-311. 6. Geethanjali FS, Jose VJ, Kanagasabapathy AS. Lipoprotein (a) phenotypes in south Indian patients with coronary artery disease. Indian Heart J. 2002;54(1):50-53. 7. Geethanjali FS, Luthra K, Lingenhel A, et al. Analysis of the apo(a) size polymorphism in Asian Indian populations: association with Lp(a) concentration and coronary heart disease. Atherosclerosis. Jul 2003;169(1):121-130. 8. 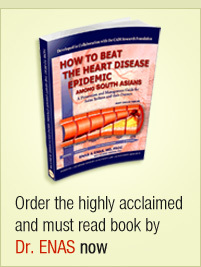 Gambhir JK, Gambhir D, Morreset J. Lipoprotein(a) in normal indian subjects and and patints with coronary artery disease. Indian Heart J. 1998;50:563. 9. Paultre F, Pearson TA, Weil HF, et al. High levels of Lp(a) with a small apo(a) isoform are associated with coronary artery disease in African American and white men. Arterioscler Thromb Vasc Biol. 2000;20(12):2619-2624. 10. Gazzaruso C, Garzaniti A, Geroldi D, Finardi G. Genetics and cardiovascular risk: a role for apolipoprotein(a) polymorphism. Cardiologia. 1999;44(4):347-354. 11. Gazzaruso C, Geroldi D, Garzaniti A, et al. Apolipoprotein(a) phenotypes as genetic markers of coronary atherosclerosis severity. Int J Cardiol. 1998;64(3):277-284. 12. Merki E, Graham M, Taleb A, et al. Antisense Oligonucleotide Lowers Plasma Levels of Apolipoprotein (a) and Lipoprotein (a) in Transgenic Mice. J Am Coll Cardiol. Apr 12 2011;57(15):1611-1621. 13. Marcovina SM, Albers JJ, Gabel B, Koschinsky ML, Gaur VP. 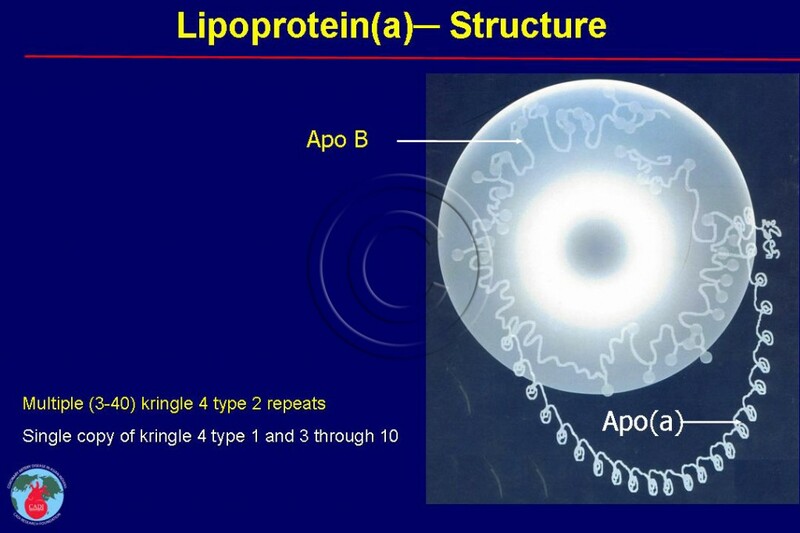 Effect of the number of apolipoprotein(a) kringle 4 domains on immunochemical measurements of lipoprotein(a). Clin Chem. 1995;41(2):246-255. 14. Marcovina SM, Koschinsky ML, Albers JJ, Skarlatos S. Report of the National Heart, Lung, and Blood Institute Workshop on Lipoprotein(a) and Cardiovascular Disease: recent advances and future directions. Clin Chem. Nov 2003;49(11):1785-1796. 15. Ridker PM, Stampfer MJ, Hennekens CH. Plasma concentration of lipoprotein(a) and the risk of future stroke. Jama. 1995;273(16):1269-1273. 16. Ridker PM, Hennekens CH, Stampfer MJ. A prospective study of lipoprotein(a) and the risk of myocardial infarction. Jama. 1993;270(18):2195-2199. 17. Ridker PM, Stampfer MJ, Rifai N. Novel risk factors for systemic atherosclerosis: a comparison of C-reactive protein, fibrinogen, homocysteine, lipoprotein(a), and standard cholesterol screening as predictors of peripheral arterial disease. Jama. May 16 2001;285(19):2481-2485.